I couldn't agree more. 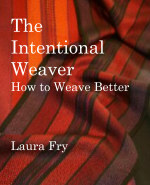 Go to your happy weaving, get rid of the 'stuff', and the work, that doesn't make you smile before, during, and after. Easier said than done, for sure, but YOU CAN do it. You will feel so much lighter! Every trip I do to the St-Vincent de Paul or the Sally Ann, every bit of what I no longer need/want that I sell gives me wings. No, I am not going for the spartan look but my weaving, knitting and cooking styles have changed. Huge cookbook stash reduction also. Have fun!!! I am in a similar situation - recently retired and, as executor, dealing with stuff from my mother's house. I am passing on most of my professional library and trying to sort out my own stuff so that my kids have less to deal with down the road. However, I would like to suggest that you might want to hang onto the samples from your non-Olds workshops. You might have the opportunity in a couple of years to do a presentation [not necessarily a workshop] for which you could use some of those samples. If you can bag just the samples by subject in giant ziplock bags and box them all together, they might not take up too much space to keep a while longer? They would be very inconvenient to try to replace, if you should want them. Second what "Anonymous" above says. 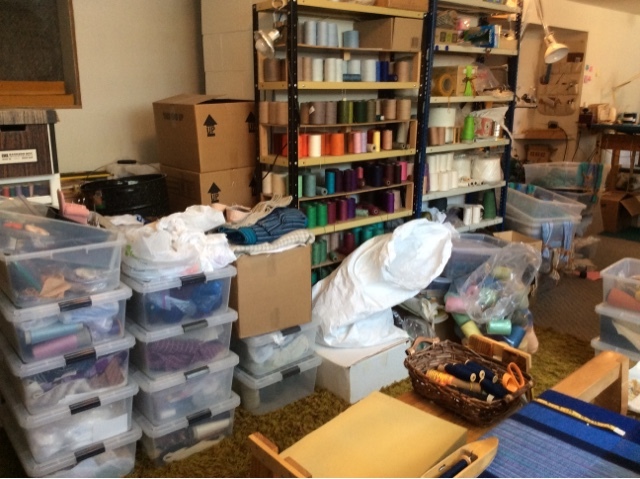 If you must part with your samples, I hope you will consider having a weaver's tag sale.